The Albin Counter-Gambit 1.d4 d5 2.c4 e5! is hot to handle and will shock your opponents. Armed with Andrew Martin's own analysis, this dangerous gambit is a lethal weapon! Part 1: The Famous Albin Trap 4.e3? Computer Software and DVDs can only be returned or exchanged if the product is in its original, shrinkwrapped packaging and has not been installed or used in any way. Once you open the packaging of a Computer Software or DVD title, it can only be exchanged for the same title if the original media is defective. There are NO exceptions to this rule. If you wish to return a Computer Software or DVD title that is eligible for return (as defined above), please refer to the Item Returns - All Other Items on our Return Policy page. 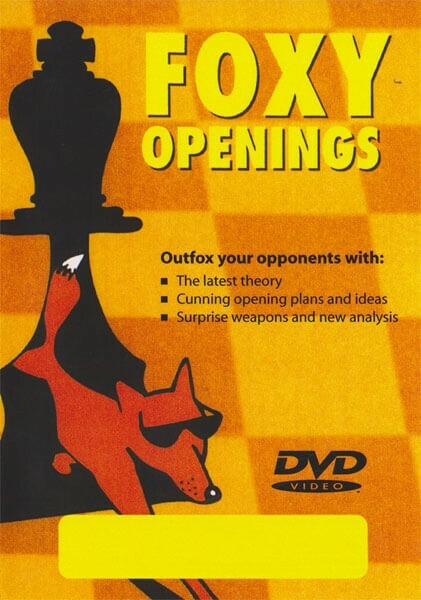 The following Video is a excerpt that was taken from one of the DVDs from the Video Series Foxy Openings but may not necessarily reflect the actual DVD that you are browsing. Only 2 Left - Act Now!